Stock status is current as of 4/25/2019 12:15 AMET. 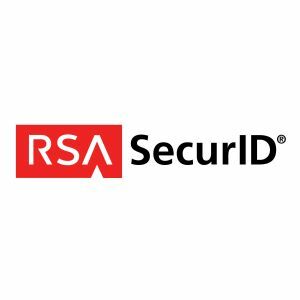 The RSA SecurID On-demand Authenticator enables users to securely access the network without pre-assigned credentials. Requiring no physical hardware token or software to be installed on a laptop or smart phone, the on-demand authentication method provides flexibility and ease of deployment, while still maintaining all the security strictures required for two-factor authentication. The On-demand Authenticator works by utilizing a self-service web URL through which end-user requests for token codes can be initiated. From an Internet-capable PC, a user accesses the self-service web URL using the traditional login and PIN combination; upon successfully passing this step, a request for a token code to be generated and sent to the user's text-capable mobile device can be made. The On-demand Authenticator opens the door to a variety of productivity enhancing applications. For example, flexibly supporting a large base of users that require secure remote access - but do not access the network frequently enough to justify the issuing of hardware or software credentials to each user - is made easier. Contractors and vendors can be assigned temporary access to corporate resources with On-demand Authenticators.